Brand spanking new! 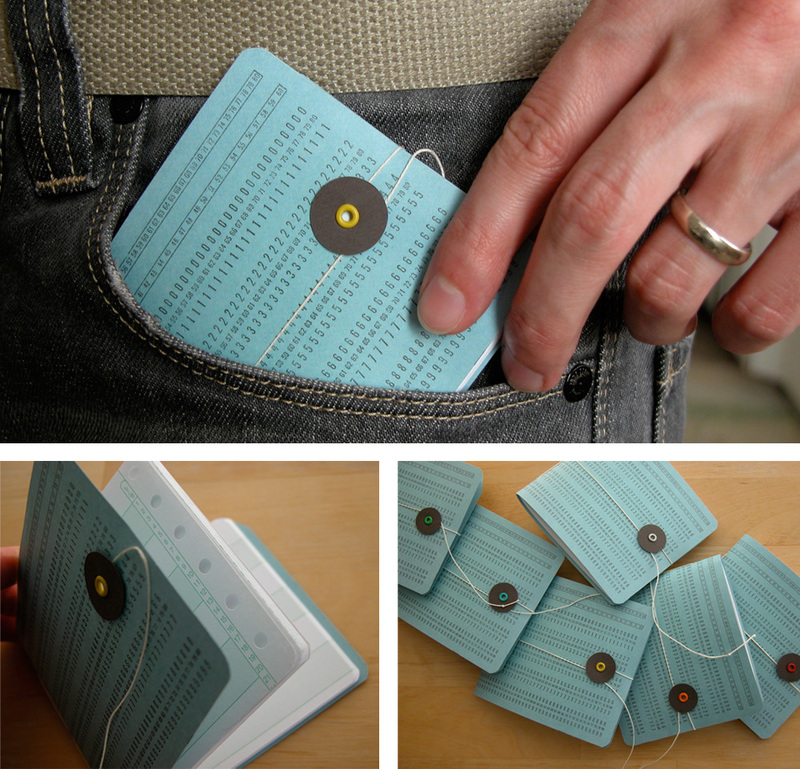 I created these little books from real, vintage computer punch cards and green bar computer paper. This is an ode to the computer lover in notebook form. They’re actually great for non-computer lovers too, since they tuck nicely away into a pocket for jotting notes on the go. 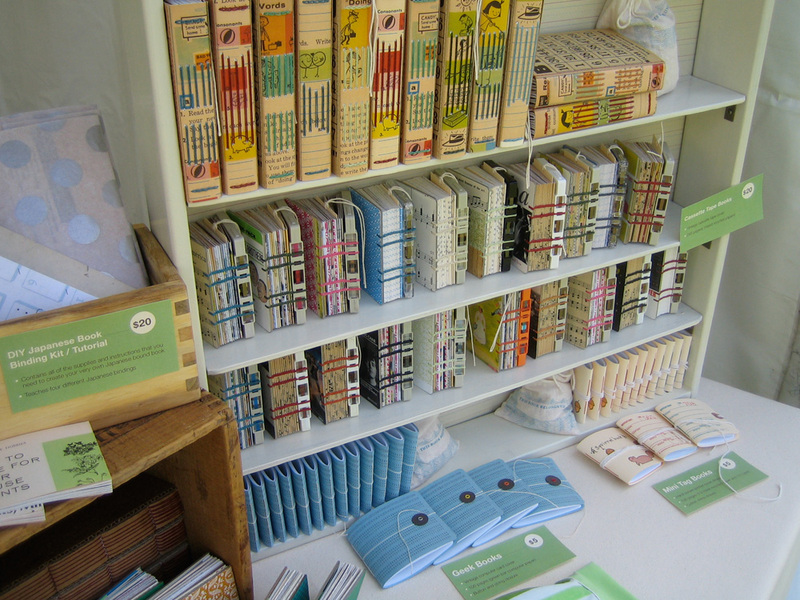 They are entirely handmade, from the hand cut pages to the custom button and string closure. Pick up your very own in my Etsy shop. 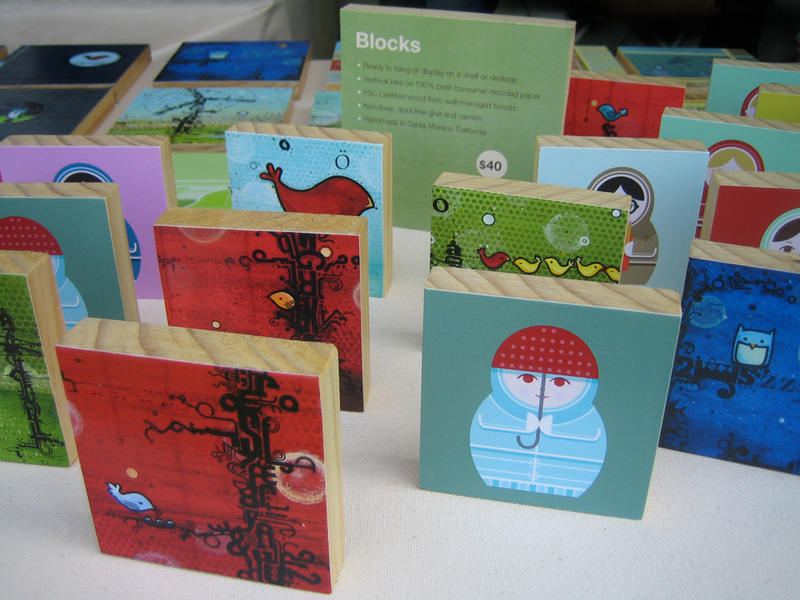 Many thanks to my friend, Peter, who discovered these cool computer cards and came up with the idea of turning them into little books! The Santa Monica Festival came and went, and Ben and I had a great time. 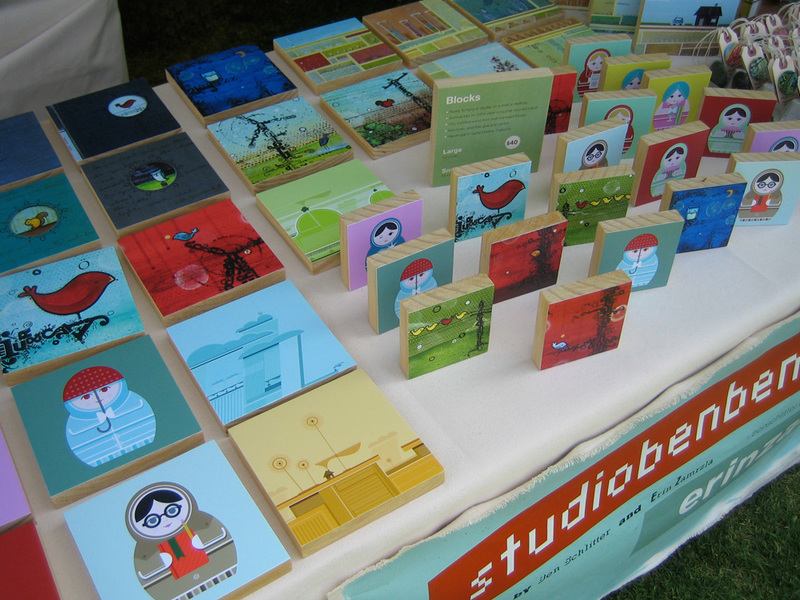 We debuted a new way to present our prints, mounted to wood blocks. We also made a special effort to make as many of our products earth-friendly as possible. Our prints and block prints were all printed onto 100% post consumer recycled papers, the wood for the blocks came from sustainable sources, and most of the books were made from recycled materials. Many of our friends made it out for the festival, and we had a fun time spending the beautiful day together. 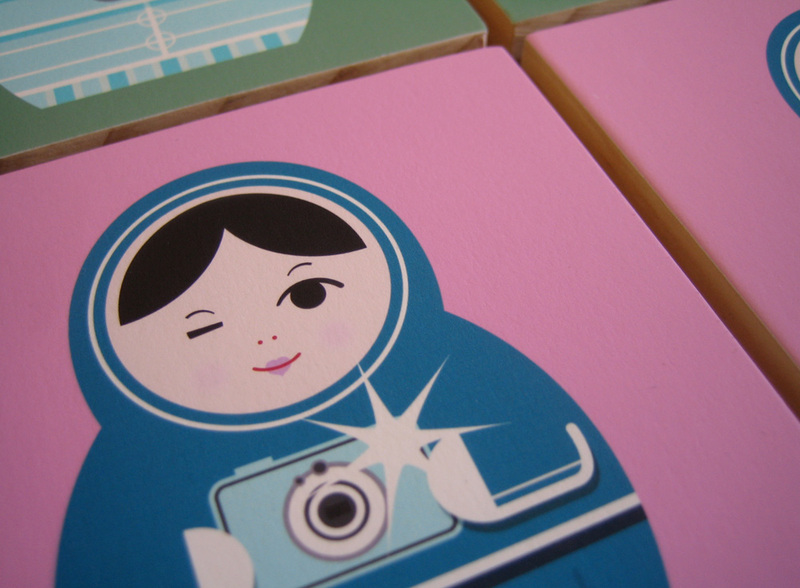 We also met up with a couple other great Etsy sellers, Ohma! and Tyler Bender Book Co. This is a sneak peek of what is to come at the Santa Monica Festival next week! 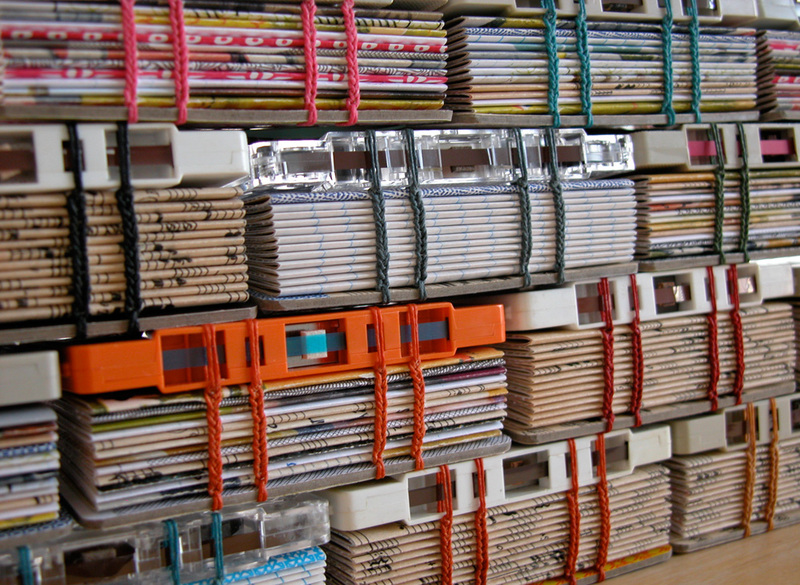 I created these little books from a collection of old cassette tapes. 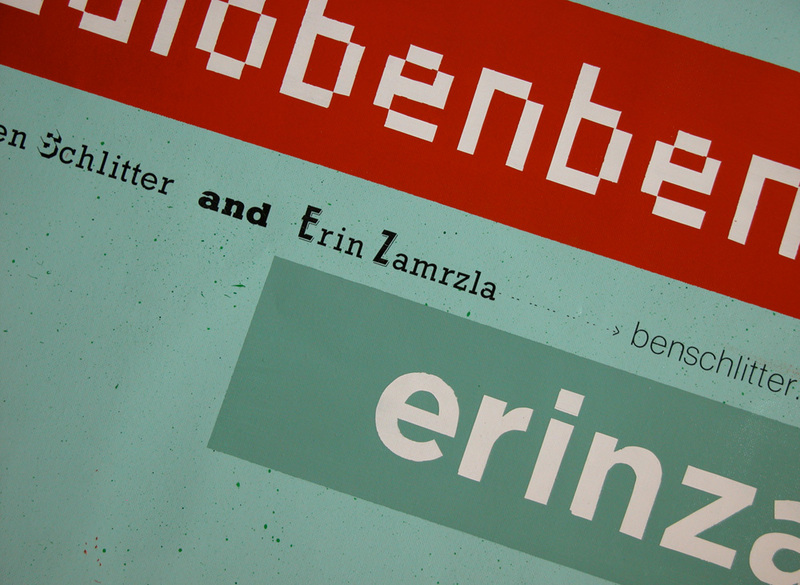 You are currently browsing the Erinzam News weblog archives for May, 2009.